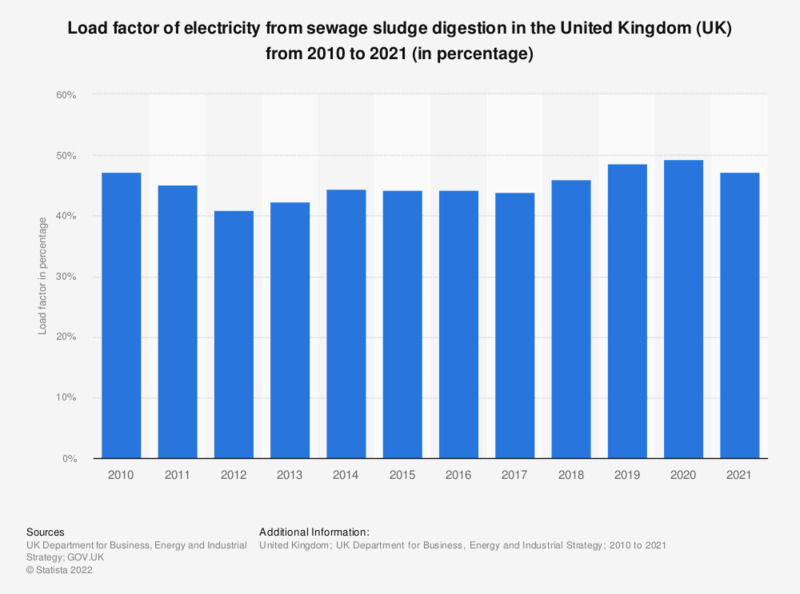 This statistic displays the load factor of electricity generation from sewage sludge digestion in the United Kingdom (UK) from 2010 to 2017, in percentage. It shows that the electricity load factor from sewage sludge digestion decreased notably in 2012, but increased again afterwards and was 44 percent in 2017. Load factor is based on average beginning and end of year capacity.